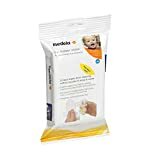 CONVENIENT PORTABLE CLEANING: Perfect for breast pump accessories and everything baby-related, these Medela Quick Clean Breast Pump and Accessory Wipes can be used anywhere and at any time - no water needed. QUICK AND EASY CLEANING: These hygienic wipes are proven safe for cleaning breast pumps, breast shields, and baby feeding and changing accessories. They are unscented and free of alcohols and bleach. USE ANYWHERE: These portable cleaning wipes can be used anywhere. They are sold in an easy to open and resealable 24-pack. 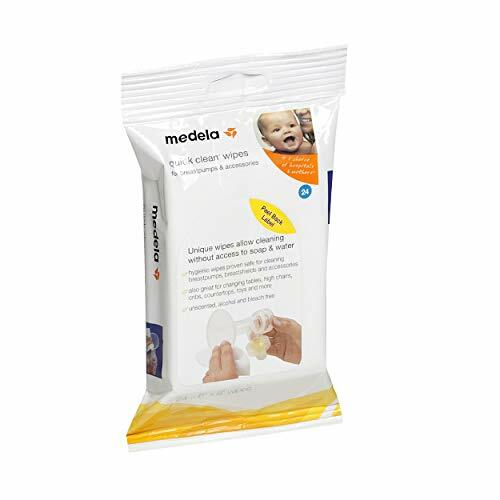 EFFICIENT WIPES: Medela has engineered these breast pump and accessory wipes to clean quickly and efficiently. One wipe cleans breast shields, valves, and membranes. CLEANS MORE THAN JUST BREAST PUMPS: We've designed these hygienic baby cleaning wipes to clean more than just pumps and equipment. They're great for cleaning changing tables, high chairs, cribs, countertops, toys, and more.